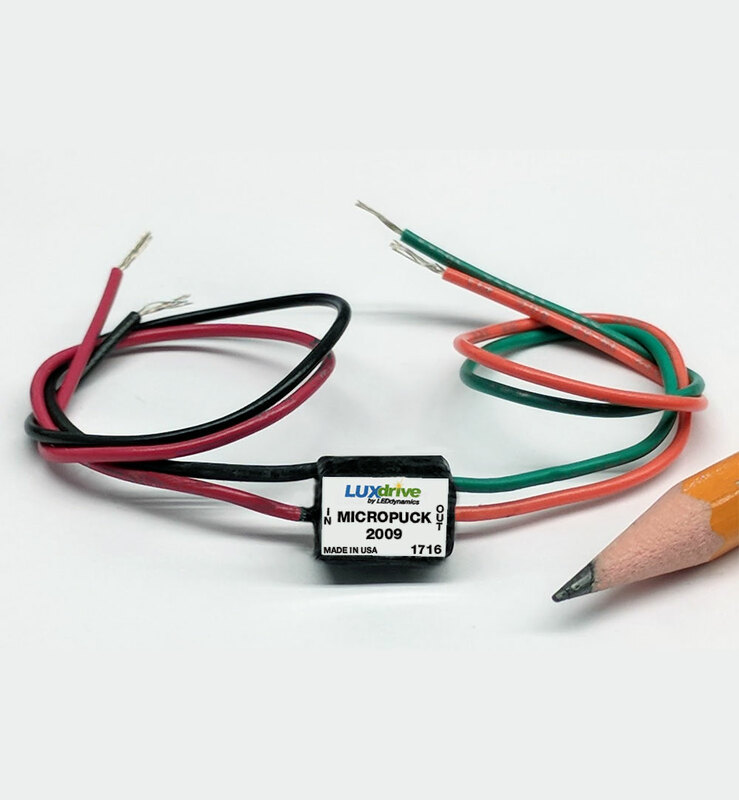 The MicroPuck provides maximum illumination to the LED while still mimicking the light drop-off of an incandescent bulb, which dims as the battery is depleted. Unlike an incandescent bulb, the driver's current consumption drops at very low voltages, allowing usable light from the LED for much longer than conventional flashlights. Battery recovery (after the flashlight has been turned off) is also improved. For more details and sample schematics see the Additional Applications Note.